Happy Friday guys! 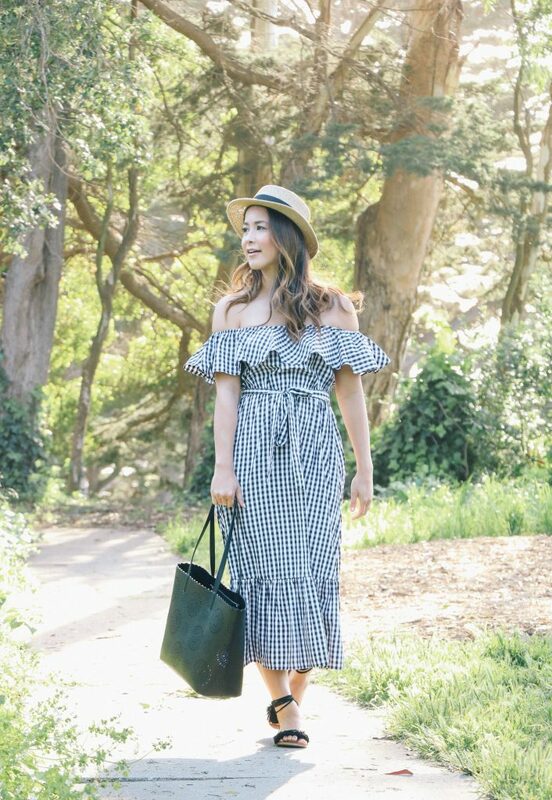 I have been loving the gingham trend this season but haven’t had a chance to wear any since it’s still been chilly out in SF (story of my life out here)! It finally warmed up enough to spend some time outdoors so Kevin and I decided to have a little wine and cheese picnic at the park. 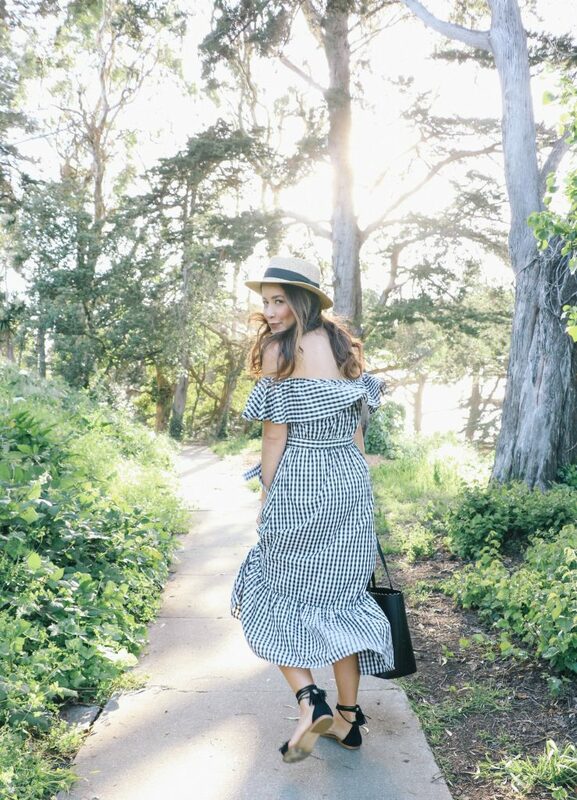 I ventured out in this OTS cotton gingham dress and could have stayed in it all day. The style of this dress is loose fitting but still feminine- which I love. Anything that can have style and comfort is a win in my book! I paired it with my favorite pair of fringe sandals from Steve Madden and a black tote to carry all of our picnic goodies. These sandals are from last season but come in a bunch of colors and are still on sale (linked below). This dress and bag are on *major* sale right now so be sure to check out the links below before they sell out!